Every so often, we hear someone talk about an event that occurred many moons ago. For most of us, a month flies by pretty quickly, yet, at the same time, it can bring vast and sweeping changes. For example, one month from today, I’ll be living in a very different home. This year, I have not been blogging as much as previous years. I have mostly focused on new and full moon charts. The next new moon (in Taurus) occurs late Sunday evening 5/17/2015 at 11:13 pm CDT. When I looked up that chart, I noticed that it occurs about one hour before my next Lunar Return. 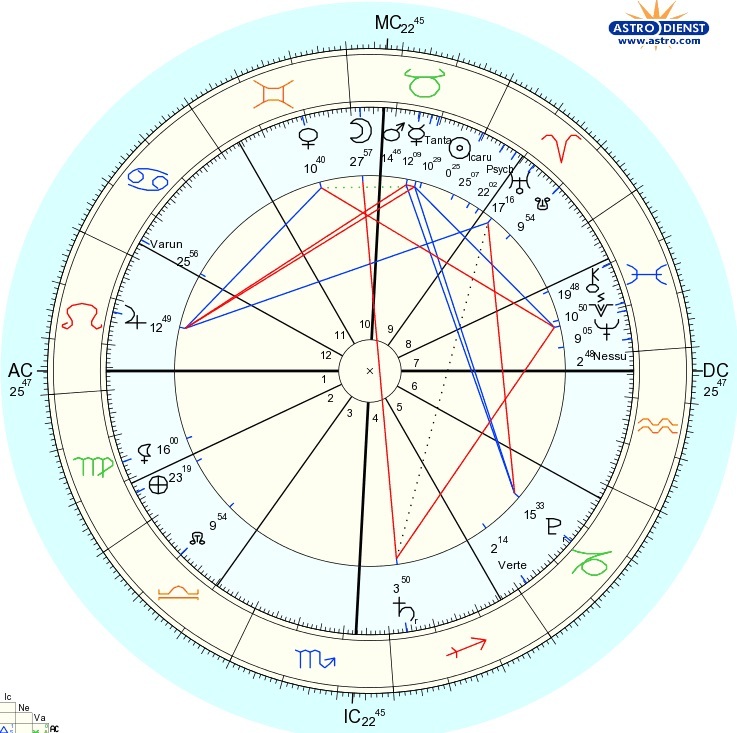 Rather than analyze the new moon chart specifically, I’m going to look at my previous and next Lunar Return charts so you can see how and why Astrologers use them. Every month, we each have a Lunar Return. It is the moment the moon crosses the exact position it was in when we were born. My previous Lunar Return was on April 20th. My next will happen just after midnight on May 18th. In theory, the Lunar Return gives insight as to what one’s month is going to be like—the theme, as it were. Of course, the context is everything lunar, which is essentially: feelings, emotion, what makes us feel secure or insecure. The word self-care comes to mind. The Universe, at times, needs to remind us to take care of ourselves. 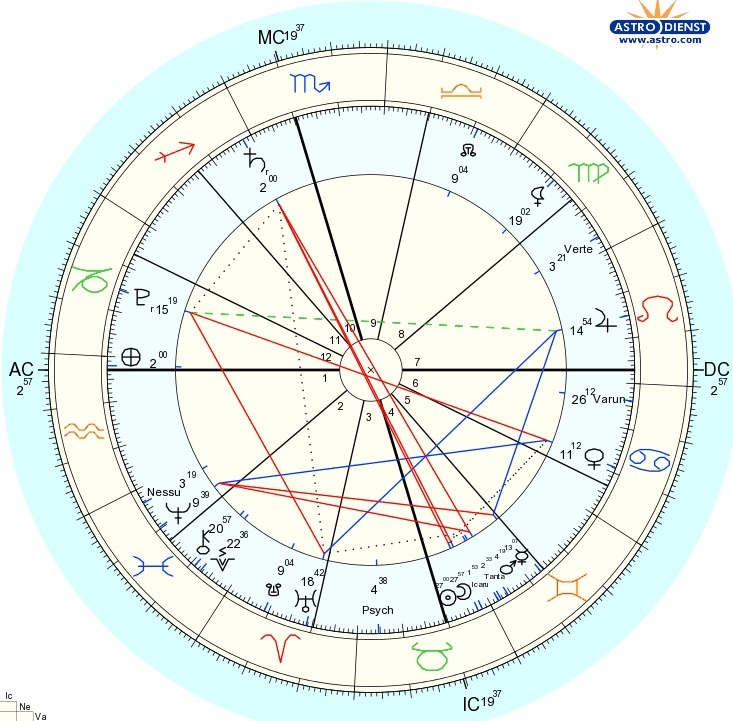 This first chart is my April 20th Lunar Return. [Click on the image to see a larger view of it.] The ascendant nearly matched my natal chart. Saturn, in retrograde, sat prominently in the 4th house nearly opposing the moon at mid-heaven. The larger stellium sat in the 9th house. One Astrologer would say that Saturn in the 4th house causes us to “get real regarding our home.” I would say that Saturn retrograde in the 4th house is about “fixing what’s not working well in our house and home.” Being in Sagittarius, it’s not so much about physical appliances not working, but rather how a home is not feeding the soul (with joy perhaps). Yeah, I admit it: my current home has been a safe haven, but has not been exactly a place of joy. A stellium in the 9th house indicates learning, learning, and more learning. Icarus and Tantalus there have been pushing me to “figure out what I want.” Jupiter in the 12th house is garbage collecting my karma—handing it to me to be transmuted. Lilith in the first house opposing Chiron in the 7th is forcing me to deal with my (general) relationship issues. For example, at times I feel unsupported by people (in the most general terms). And, repeatedly in the past few months, I’ve had people (agents) say they would help with my search, but then fail to do so. It hurt each time, partly because I felt vulnerable knowing that I have to move and by a specific date. One could say that Varuna in the 11th house meant I would meet and interact with many people through this process, which I have. I can honestly say that the past month has been all of that. Now let’s look at the coming month. In my next Lunar Return, the larger stellium, including the sun and new moon, is in my 4th house. Mars and Mercury is a part of it. The focus will be all about my house and home. But note that Mercury will be hours from going retrograde. The theme of the month is about moving forward, but the process of doing that will entail going back over stuff. Saturn, in this chart, shows up in the 10th house. I have been saying for a while now that I need to get my 4th house in order first, and then work on my 10th. I wasn’t thinking I’d get to it this soon, but maybe the next month will entail planting a few seeds for the future. 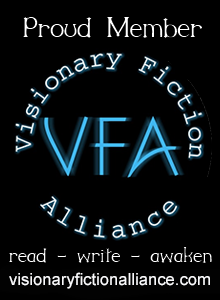 Or maybe this is about getting back to work on my new book (Scribe to the Pantheon of Rome) so I can publish it early in the summer. The last part I’ll mention is Pluto retrograde in the 12th. This whole process has been truly transformational. I don’t recognize my life as it is right now, and the big changes are still forthcoming! I’ll go ahead and post the new moon chart as it is shifted by about one house from the above. In this chart, the stellium shows up in the 5th house of creativity and creating. Venus sits conspicuously on the descendant. They do say that spring is a good time to start (a) new relationship(s). With Venus in Cancer, it could be with people close to home…people we feel safe around. Wouldn’t that be nice! About four days after the new moon, the sun will oppose Saturn exactly (5/22 @8:34 pm @ 1o 38’ Gemini/Sagittarius). Saturn in the 11th in the new moon chart sets the context as aspirations and/or peer relationships. Those of us with late Taurus or early Gemini birthdays have Saturn opposing our Natal suns, thus relationship issues hit closer to home. [Keep in mind that a Saturn transit is a one to three year span…think general theme, not specific events.] Those with Taurus or Gemini rising may also have something similar going on. I’ll leave it at that for now, but, as always, feel free to post questions in the comments section or via email. And, there’s nothing like personal readings to discern and illuminate the guiding messages of the stars!